Where: TFTR (www.tftr.org.au), Templestowe Reserve, Porter St, Templestowe VIC 3106. Please note: A big thank you to TFTR for approving use of their facilities, however, this event is organised by RC Formula1 and not TFTR. Opening Parade behind the RC Formula1 AMG Mercedes safety car. Open practice all day with setup workshops to provide setup tips and tricks to get the most enjoyment from your F1. Practice timing will be enabled so drivers can see their lap times if they have a personal transponder. Any 1/10th F1 car can run with gyros, foam tyres or whatever. Indy Car entrants and those going for their Super Licence must conform to National F1 Rules with rubber tyres. Static displays of anything F1 in a roped off area so people can see but not touch. We will have dozens of F1 cars on show including David Stevens’ Guinness World Records car and our Safety Car. 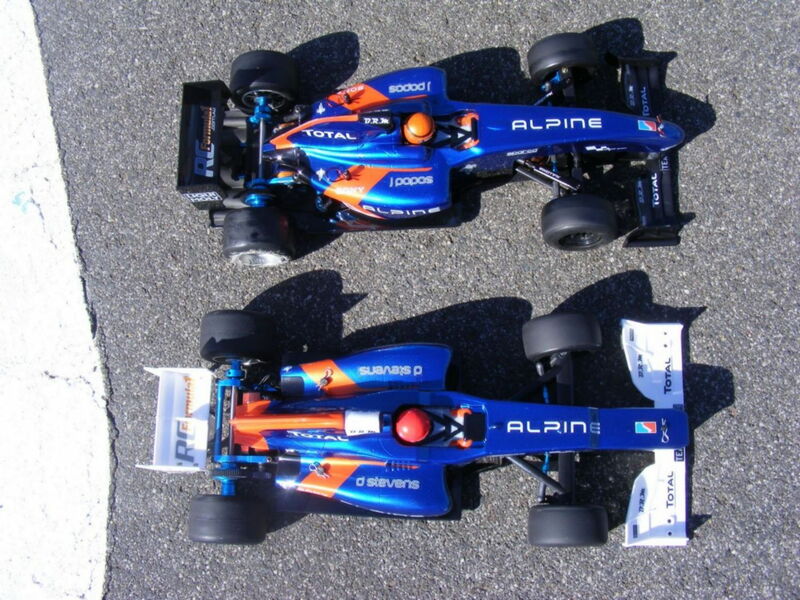 All F1 cars welcome: If you have a 1/8th or 1/5th scale, a plastic kit or a collection of 1/32 F1 cars, bring ‘em down! Shelf queens, F1 memorabilia, old F1 kits in original boxes -if you have something to share please bring it. Speed run car – static display – goal speed 250Kph! An Indy Car track session where we only use the outside oval of the track (all F1's can participate). Super Licence qualification for anyone who can achieve a set time. We expect more than 32 F1 drivers to attend and therefore a World record attempt for most F1 cars in a race will be held. Australia held the record briefly in 2013 until the F1 Italian Series beat our record. Needs 32 cars, so bring yours and help Australia win back the record! This was a lot of fun in 2013 and you can see the highlights video below. Indy Car, Best Static Display and Super Licence achievers announced (no trophies, just bragging rights ). F1 clothing and banners encouraged (but not required). More information will follow. Feel free to ask questions below. Here's the video of our last record in 2013 where 27 cars finished. The record stood for 2 weeks before the F1 Italian Series put 32 cars on the track. We can't let this affront to Aussie pride stand! You can read more about the record here. Pre-register today. It's free and it will be a lot of fun! Look forward to seeing you there. Entry list in next post. Bones181 and jtrmx250 like this. Last edited by RCformula1; 03-15-2019 at 08:04 PM. Last edited by RCformula1; 04-07-2019 at 04:03 AM. 23 Entries and counting. I'll be displaying my: Mclaren (Mika Hakkinen) - Xray X1, Guinness World Record car - Tamiya F104 v2, and two custom team liveries on Tamiya F104 X1 chassis, including the Alpine Total Livery below painted by my teammate in the 2014 Vic Cup Series John Pappas. Last edited by RCformula1; 03-01-2019 at 04:27 PM. 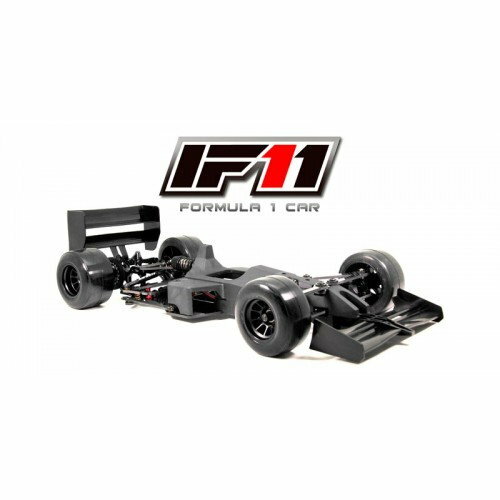 A big thank you to www.speedyrc.com.au for donating a brand new Infinity IF11 F1 kit as a raffle prize. The kit retails for $499 and has a lot of great features. Raffle tickets are $5 each available on the day or you can pre-order your tickets for $4 each by emailing me at [email protected] or message me on Facebook. 9.30am-3.00pm - Track open to F1 cars only. Open Practice all day except where noted below. Super Licence qualification can occur during any open practice session (see Super Licence below). 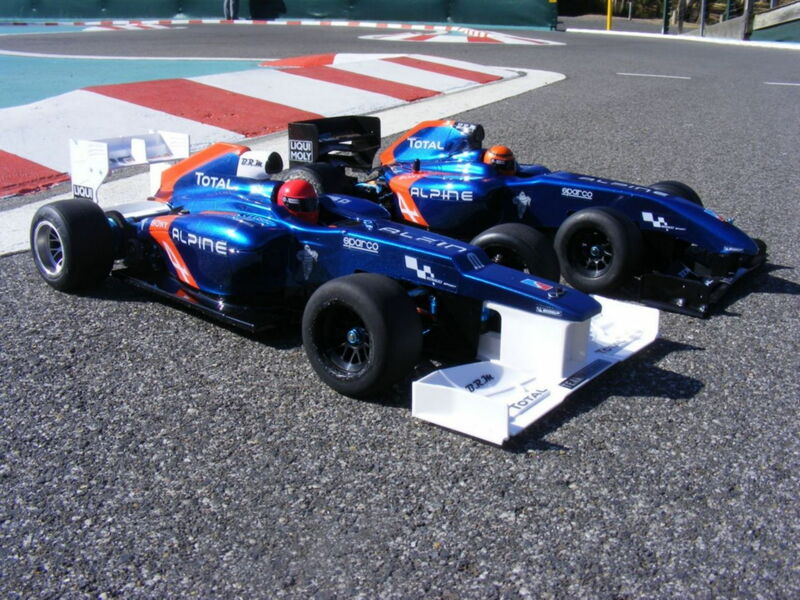 If you’d like to try driving an F1 (for free, with loan car and instructor) message us (contact details in first post). • 11am - Setup Workshop – with assistance to setup your car. While assistance will be available all day, the setup workshop is designed to step you through the key things to have a well behaved F1 car that is easy to drive. • 3.00pm - Winners announced - Indy Car, Best Static Display and Super Licence achievers announced. (no trophies, just bragging rights). Raffle Draws. • Event concluded but track remains open. One timed lap from a standing start using the outside track oval, participants ranked by time. Any motor, ESC settings or tyres may run and results will be separated for each type. The Super Licence idea is just a bit of fun. If you aren’t able to achieve the time it doesn’t mean you can’t race. All drivers are always welcome. But keep practising and you’ll get faster! Those who beat the Super Licence Target Time will be listed on the www.rcformula1.com.au website in time order. Reminder: Track opens 9.30am tomorrow (Saturday) and event starts at 10am. Weather looks good. We have a record number of registrations. See you all there!